Jeep has officially confirmed production of a sub-four metre SUV based on the Jeep Renegade, signalling competition for the likes of Ford EcoSport and Maruti Suzuki Vitara Brezza. Jeep has officially confirmed production of a new, sub-four metre SUV that will be launched in India. Rumours about a possible sub-four metre Jeep SUV had been doing the rounds for a while, and the company finally confirmed its presence at Fiat Chrysler Automobiles' (FCA) five-year-plan announcement. The new Jeep SUV is expected to bear trademark Jeep styling and dynamics, while fitting into the compact SUV category that is proving to be a mass favourite in India at the moment. The new sub-four metre Jeep SUV is expected to be the entry-point for Jeep's India portfolio. The company has seen reasonable success with the Jeep Compass, taking on heavyweights like the Hyundai Creta, Tata Hexa, Mahindra XUV500 and Hyundai Tucson. 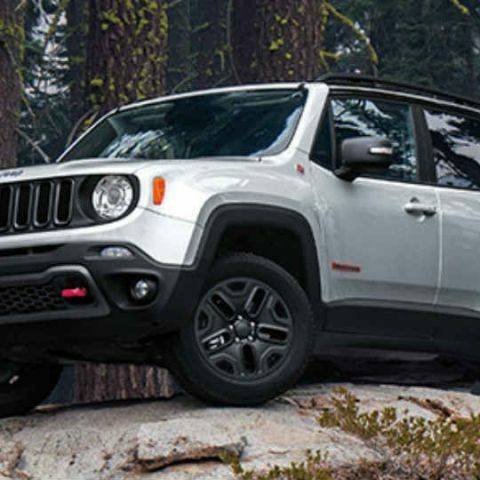 In terms of styling, the new SUV is expected to take cues from the Renegade, bringing a boxy design language with sharp angles, a tall body profile and chunky elements along with the seven-slat front grille. It will reportedly share its platform with the new generation Fiat Panda, and being from Jeep's arsenal, will also come with off-roading capabilities and four-wheel drive. Jeep has seen considerable success with the Compass, which has so far taken its fair share of sales from India's burgeoning SUV market. The Compass scored high on overall quality, the brand heritage of Jeep, good infotainment offering and a solid entire package. The company will be hoping to do the same with its new compact SUV, which will sit below the Compass in India. Jeep has also announced a new, three-row, mid-size UV for India, which will be a more premium offering and will sit above the Compass in Jeep's India portfolio. Jeep has by far been the most successful offering from FCA's stable since the days of the Fiat Linea, and the company will be hoping to continue on the same note. what is the best configuration for making system a gaming computer?